Beginning his career as a Catholic Priest, he later worked in the care of those affected by HIV/AIDS and then specialised in the treatment and recovery of those addicted to alcohol and substance use. John has established and managed several innovative community-based services in England, Ireland and Canada and has worked for high profile private organisations providing psychotherapy, spiritual direction and emotional guidance to those in addiction and to their loved ones. He currently provides personal online mentoring services to those who wish to seek his assistance. John is a popular and inspirational speaker and has appeared in interviews for TV, Radio and Internet Talk Shows. With his wife Anne Louise he facilitates workshops and seminars, sharing timeless wisdom on cultivating a spiritual practice and teaching practical ways to find emotional freedom and deeper self-fulfilment. John is a respected inspirational speaker for professional meetings in the fields of personal growth, inspiration, holistic health, human relations, and achievement of work/life balance. He has helped thousands of men and women to move beyond guilt, shame, low self-worth, repression, suppression, depression and addiction, so they may find peace again, and be restored to the grandness of who they really are. As you give yourself the permission to live with a free heart, with unrestricted creativity and imagination, you return yourself to the norm of the Creator. You begin to live in alignment with Life itself. Anne Louise began her working career as a teacher of English and Drama, and later became a qualified paediatric physiotherapist. She worked in England and Ireland as a key member of the Health Service multi-disciplinary team, working closely with the departments of education, health and Social Services in the combined role of teacher and paediatric physiotherapist. 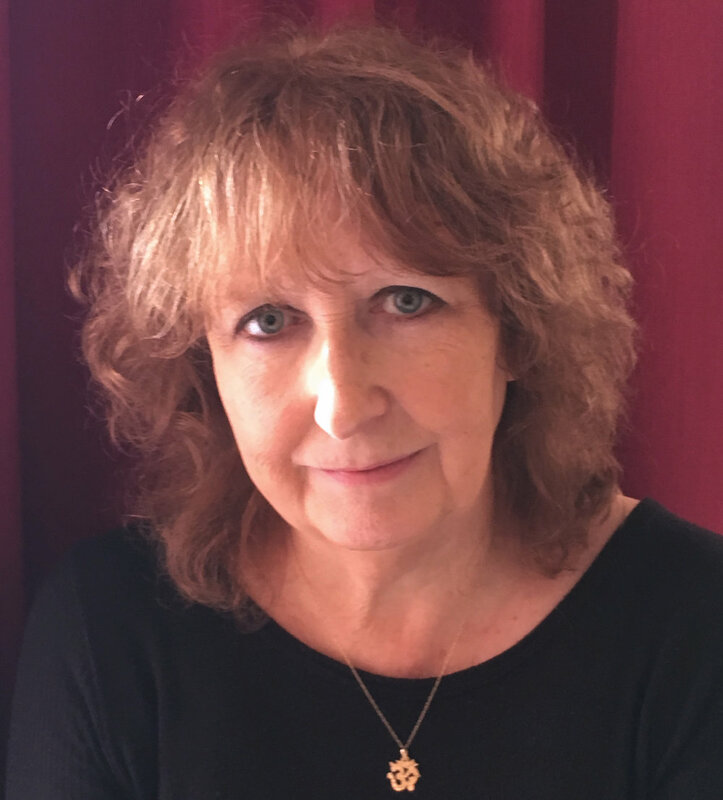 Specialising in the treatment and assessment of children presenting with the challenges of ADHD, dyspraxia and autistic spectrum disorders, Anne Louise provided a unique service integrating her extensive knowledge and practical expertise in neuro-developmental disorders and sensory integration dysfunctions. She then became a certified Trainer of Energy Psychology and a practitioner of Reiki, becoming attuned to the level of Usui Reiki Master. In Vancouver, Anne Louise provided emotional mentoring to those attending Canada’s only private naturopathic outpatient clinic for drug and alcohol detoxification. She provided group facilitation to those in addiction recovery at one of Canada's top private residential treatment centres for men and worked with soldiers and military veterans traumatised by their experiences of war. Anne Louise also worked with some of the First Nation communities, assisting survivors of the Indian Residential Schools to heal from the deep hurts, violations and trauma of the past. The synthesis of her in-depth learning, training and diverse experience form the basis of her work today as a Teacher of Emotional Wellbeing. Anne Louise brings a warm blend of wisdom, intimacy, humour, and vision to the path of personal, professional, and spiritual growth. With Anne Louise you will begin to understand the roots of your emotions so that you may respond to life's inevitable ups and downs with far greater confidence and equilibrium. You will begin to open the way to new waves of creativity and to a richer, fuller life. With laser-like vision and intuitive insight, Anne Louise sees deep into the heart and soul of those she addresses. She is always able to extract lessons from the practical experiences of daily living, and find beauty in the seeming mundane. Many of those who have sought Anne Louise’s guidance have reported that her personal mentoring and teachings have brought them deep encouragement and empowerment, inspiring them to believe in themselves with renewed confidence and clarity of purpose. Since the beginning of the new Millennium, John and Anne Louise have worked together, integrating their life learning, skills, study, experience and professional expertise to provide leading edge services to families and individuals presenting with addictions and dependencies, deep-seated emotional pain, low self-image and low self-worth. For the last 25 years John and Anne Louise have been teaching a message of hope and empowerment to those who have often felt hopeless and powerless. Vastly experienced, their work has taken them across the world. They have lived in England, Ireland and Canada and today they continue to facilitate Conferences, Retreats and Events as well as providing online Personal Sessions to people in North, Central and South America, Canada, Australia, India, China and across Europe. Together, they have been privileged to assist many people from so many different walks of life, each wanting to experience the same desire as yours ... to move on from the past, find peace in the present and discover how to create a fulfilled tomorrow. • In Dublin, established the first inner city community-based drug and alcohol counselling service for families of those in addiction. • In conjunction with the cross-border peace initiative in Ireland, assisted individuals and communities - north and south of the divide - to transform the stress, trauma and suffering resulting from years of conflict. • Provided deep transformational healing to indigenous people of the First Nations and to military veterans, as well as those still serving in the Canadian Armed Forces, who suffered the symptoms of PTSD, depression, alcohol and substance abuse.